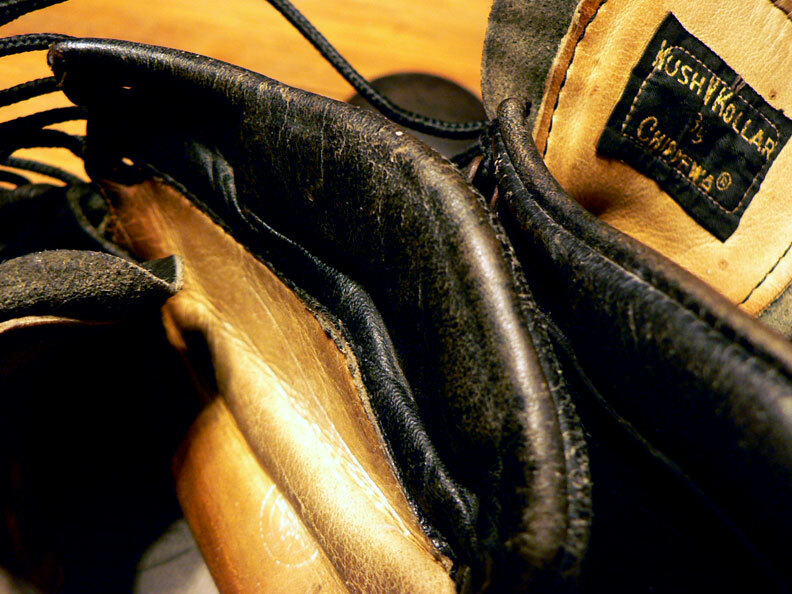 Damn Yak Dry Goods Co.: Chippewa Ski Boots. Last week I picked up these old Military Mountain Division ski boots made by Chippewa boots. Chippewa Shoe Mfg was started in Chippewa Falls, Wisconsin in 1901. While their claim to fame was Logger boots they now produce a wide range of excellent footwear. I have been looking online for another pair of these as I am having trouble dating this pair. I don't think that they are super old, just well made. They came in the mail and reeked of shoe polish, which is good and bad. Good because it sealed them when ever someone threw them in the closest, however to "refurbish" them new oils will not reach the leather easily. First off I used some Naphtha to strip the wax of the polish, on the outside. Then a good boot oil to let it soak in and rehydrate, then to top it all off some Obenauf's Heavy Duty LP. The inside leather which is next to my socks etc, got treated with some Lexol, which is great for this kind of leather as its lanolin based and not waxy at all. They are not as good as new, but amazingly better than they were. The leather of the Kush-N-Kollar is perhaps to far gone, as the material inside the collar is brittle. The Vibram Depose Montagnabloc soles are like new on these puppies, all the lugs are pliable and unworn. They are glued, but also nailed on to the bottom of the boot, true craftsmanship here folks. The toes were made to fit into bindings, and there for pretty boxy. Since there was a couple chips from the binding, and I will not be using them as ski boots, I took a rasp and rounded the toe. Now they just look like great light hikers, built to last that is for sure. If you have any info on these please let me know, It would be greatly appreciated! I have a very similar pair that we're issued to me in 1975 during my tour with the 172nd Infantry in Alaska. Usually these are issued and then turned in at the end of your tour. Fortunately when I was in supply to get my boots, they didn't have any previously issued boots in my size, so I was issues a brand new pair, still in the box. 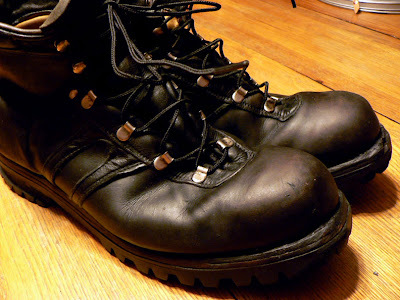 A veteran Sargent advised me to soak the boots in water and walk them dry in an upcoming 12 mile road march that was coming up in a few days. I took his advice and the boots were perfectly broken in for my feet. They have remained the most comfortable and long wearing boot I've ever owned. I still have wear them to this day, especially in cold weather. 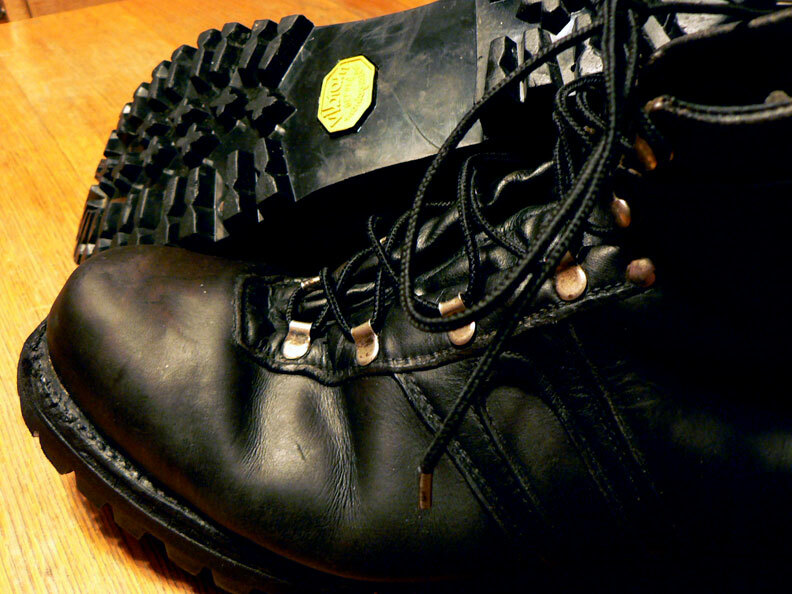 When the time came for my tour to end, I found a pair of Army issue mountain boots in a Army Surplus store off post. That's what I turned in so I could keep these. Now they're old friends that I've enjoyed for the last 44 years. That Sargent's advice was some of the best I ever got. Thanks Sgt. Samuel Kozub, where ever you are! Enjoying The Outdoors - Part Nine. Maple Sugar - Circa 1925. A Field Test: Woolrich Declination. 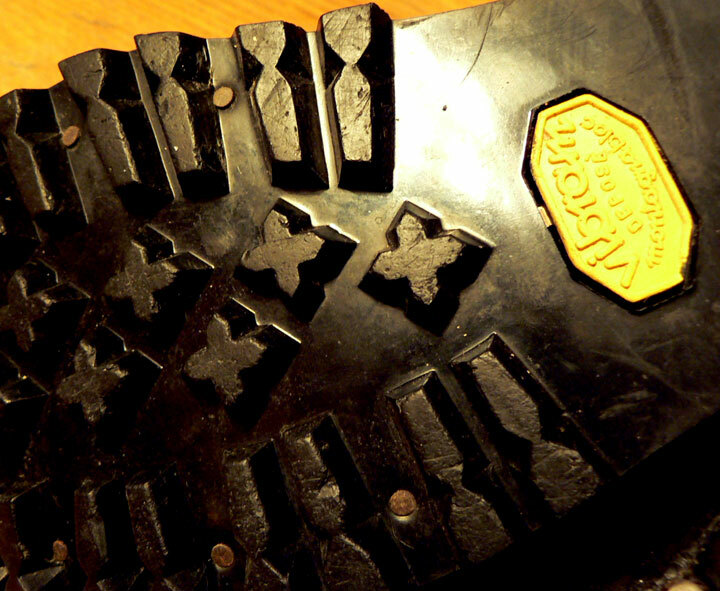 Snowshoes: Traditional, Modern, or Hybrid. Introducing: Damn Yak Dry Goods Axe Holster. Damn Yak On Field Notes.